Are you a fan of the TV show Jeopardy? Then here's your chance to use your math skills to try and win the game! 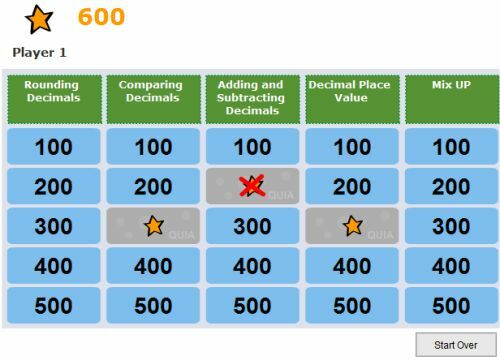 The questions all deal with decimals - so will you take 500 in Rounding Decimals? Or 300 in Comparing Decimals? Perhaps you'll take 100 in Adding and Subtracting Decimals, or 200 in Decimal Place Value? There's one other category too - Mix Up - which could be a question from any of the other categories. 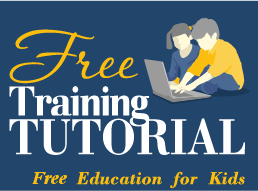 With the range of questions available, this is useful for fourth and fifth graders. Each question you get right adds the number of the question you pick to your total. You can also play this as a two-player game, to see whose knowledge of decimals will beat the board!